We recently refreshed our brunch-all-day patio for fall parties in partnership with Article and have started hosting fall parties outside! It’s been fun. 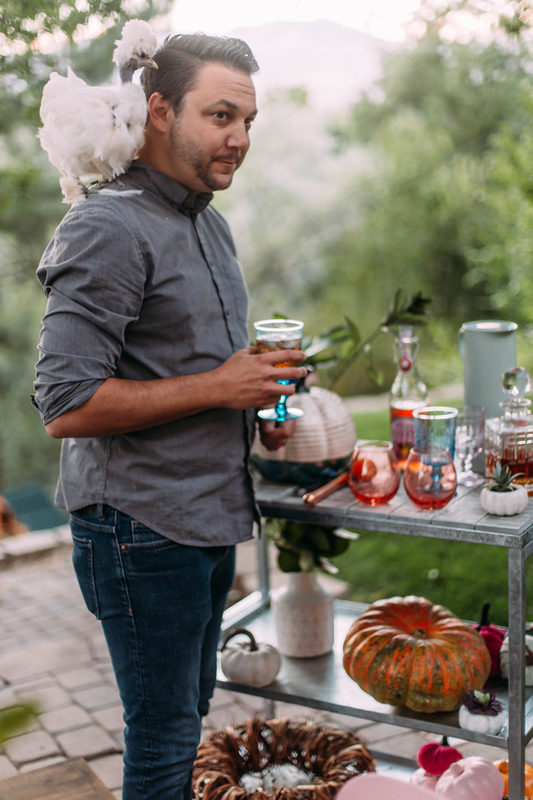 Today I’m sharing 5 fall party tips to make any outdoor gatherings come together with style & ease. 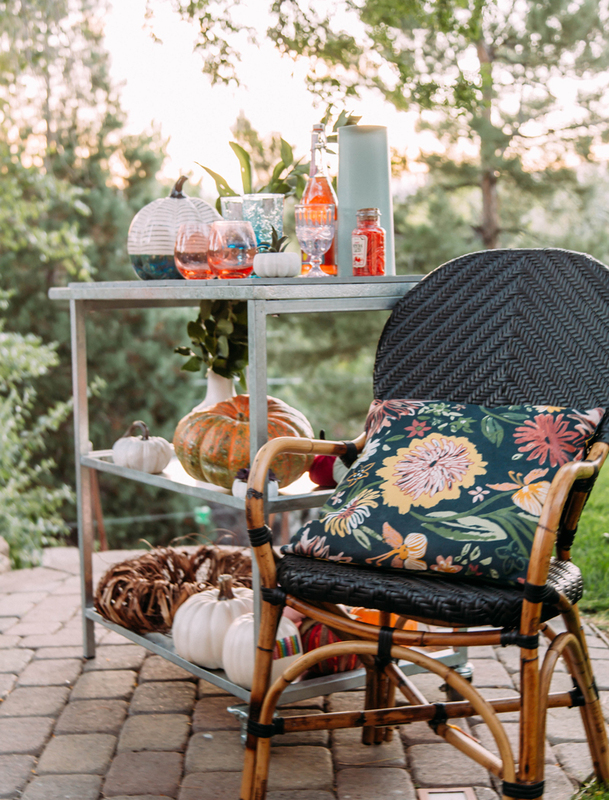 Before we get into the 5 fall party tips, let’s talk about this outdoor furniture for a second. 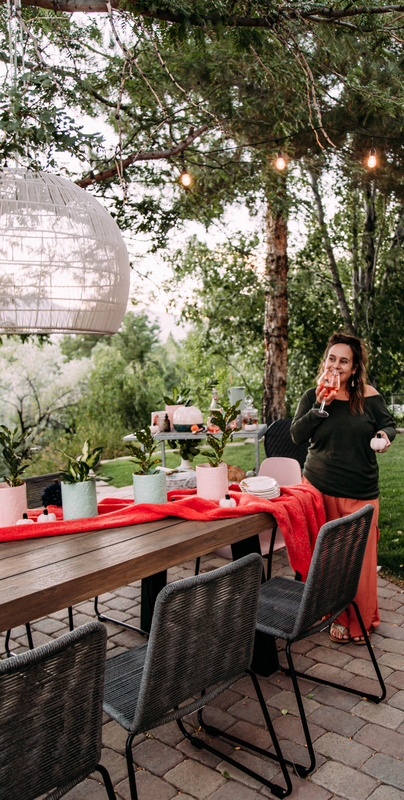 Whatever cutesy party elements we plan to add in to make outdoor entertaining easier and more stylish this fall, The biggest challenge we face is needing to work with the existing furniture and not against it. 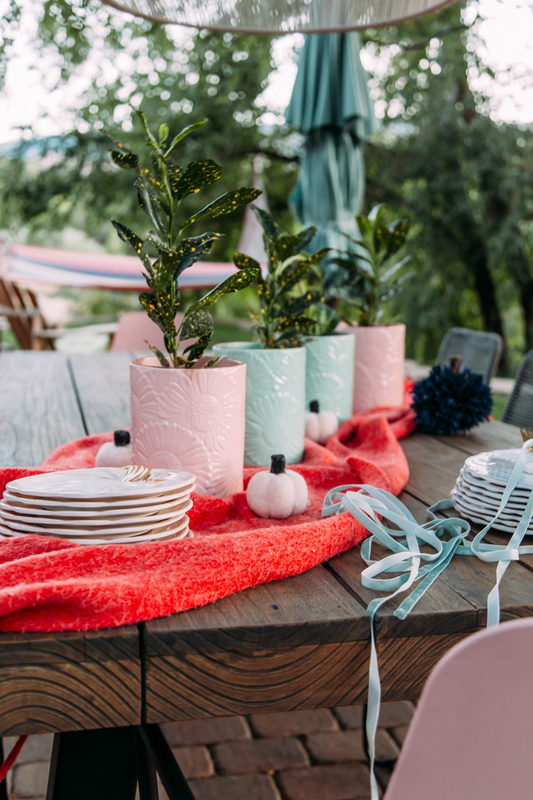 When an outdoor space starts with a good foundation all these fall party tips tend to be easier to implement. We originally shared our patio renovation nearly two years ago and it definitely needed a refresh. Although the furniture we picked was great at the time, it did not stand up to Reno’s weather very well. We worked with Article to set up an outdoor dining area that is always ready for a party! 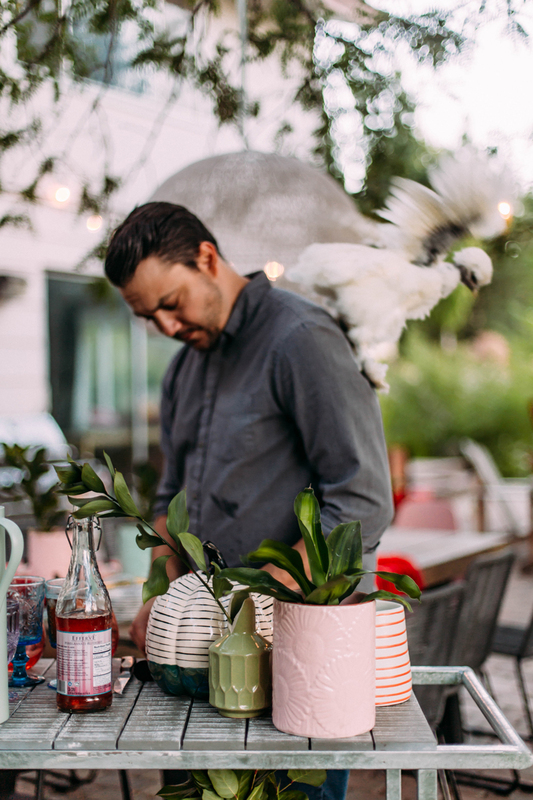 We used the Tavola outdoor dining table, Como chairs, PInk Svelti Lilly arm chairs and the Mira bar cart to set the foundation of all our outdoor party scenes. Having such gorgeously substantial pieces set up as the backdrop for any party elements allows our tips & details to shine. 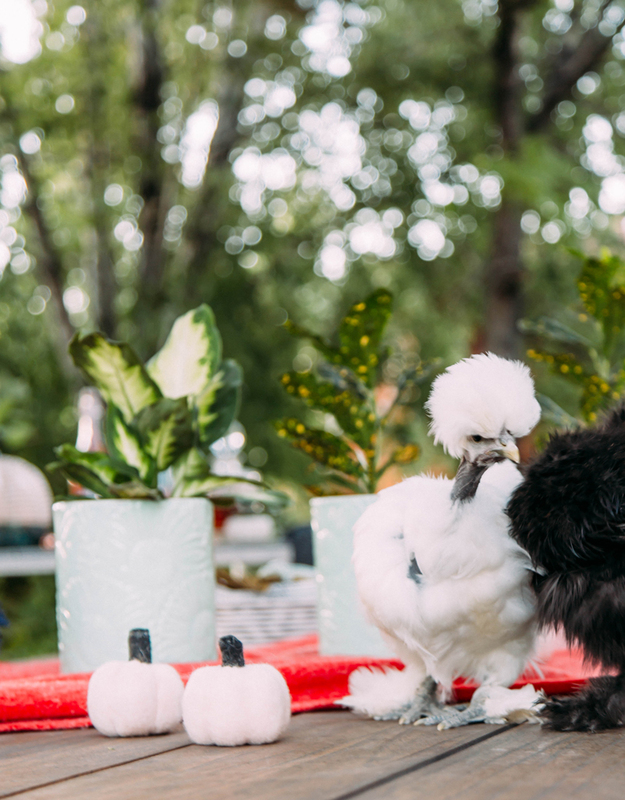 Who says fall has to be all about burnt orange and greens. 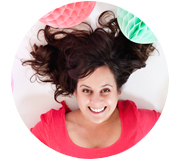 Add in pops of colors like a poppy orange base with mint and blue velvet for a fall feeling that is fresh and new. Layering colors and textures in any form screams cozy to me. This is a great way to “shop the house!”, and reuse some of your loved colors in ways that are new and fun for the season ahead. 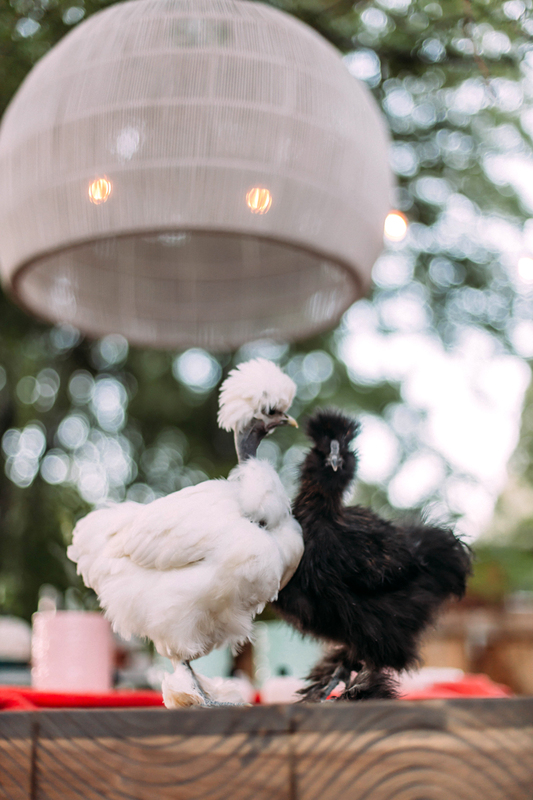 Since the sun sets earlier this season, entertaining outside means you’ll need to think about lighting elements. I’ve found that layering different options is an easy way to cast that glow that we are after and keep the party going all evening long. The last thing you want is people getting up to leave because they just can’t see anything. Oooops! Instead we used a combination of string lights hung high. We leave these on from when the party starts throughout the evening, because even in the light they still look pretty. And we hung this gorgeous Bali white light with a plug in light kit inside to turn on as soon as the sun goes down. 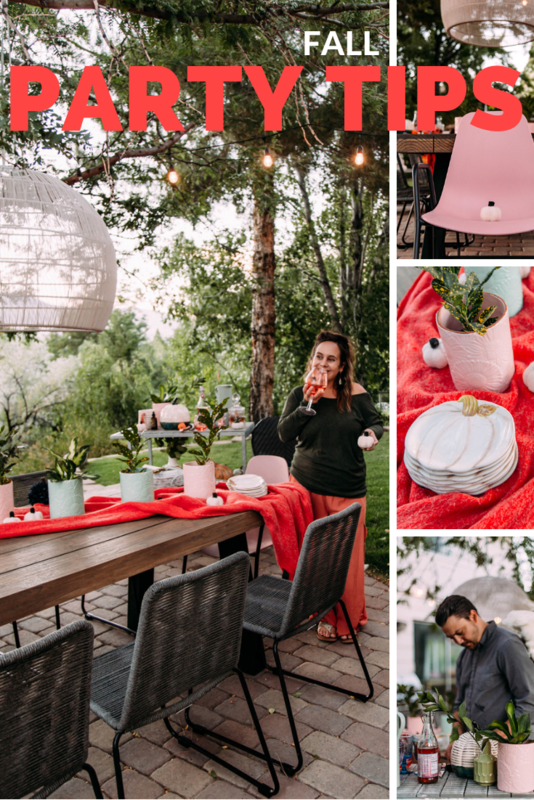 You can purchase a plugin light kit at your local hardware store for under $10 and hang it from a tree to create an indoor lighting feel throughout your outdoor space. The larger the lighting feature the better the fit will be for an outside space – especially if you have a large yard or deck you’ll be entertaining on. This Bali light is gigantic (nearly 2 feet in diameter!). It is a huge showstopper even in our larger than normal outdoor space. One of the things we’ve started to do is to create a couple go-to menus before a new season starts. 2 drinks we will be making all season long and a couple dinners we know will always hit home runs. This way it’s a LOT easier to think about having friends over because we are not always reinventing the menu and stressing about the food. Plus with a couple go to drinks, we can just have the bar set and ready with everything we need. This fall our drink of choice is a Fall Sparkle. The drink includes bourbon, bitters, raspberry sparkling lemonade & an orange twist. 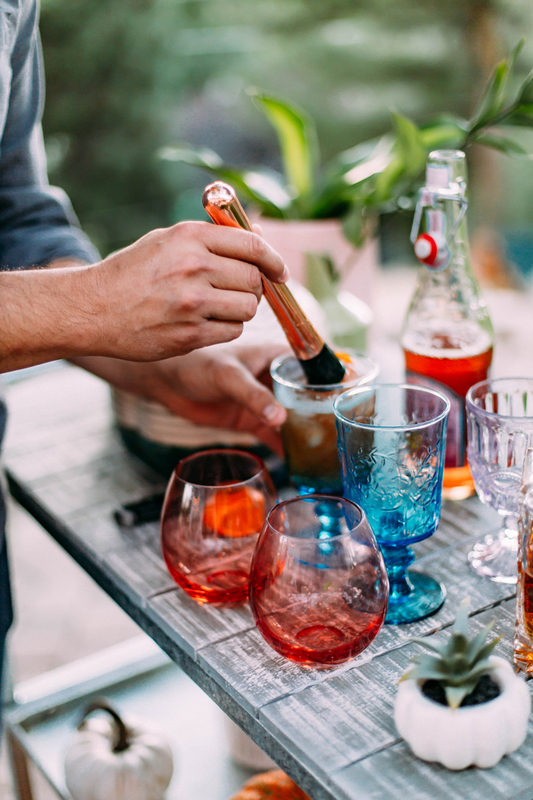 The bourbon & bitter combo welcomes fall easily and the sparkling lemonade gives it that fun party kick that reminds us how fun the season is to celebrate. Once before, I shared my sneaky way to make every table look great at parties. Using wrapping paper! While I still firmly stand by this, for fall I especially Iike the texture and style that using a scarf creates on a table. One of my favorite things about having such a gorgeous table is showcasing the wood elements, so the last thing I want to do is cover it up! Scarfs are affordable to purchase and can be tossed in the washer after the meal. But, even if you have a table you don’t love – layering a scarf or two on top of whatever tablecloth you use will bring in a cozy layer of texture perfect for the season ahead. I’ve found that when designing a table, or serving a crowd having stacks of things is the easiest way to make a statement fast. 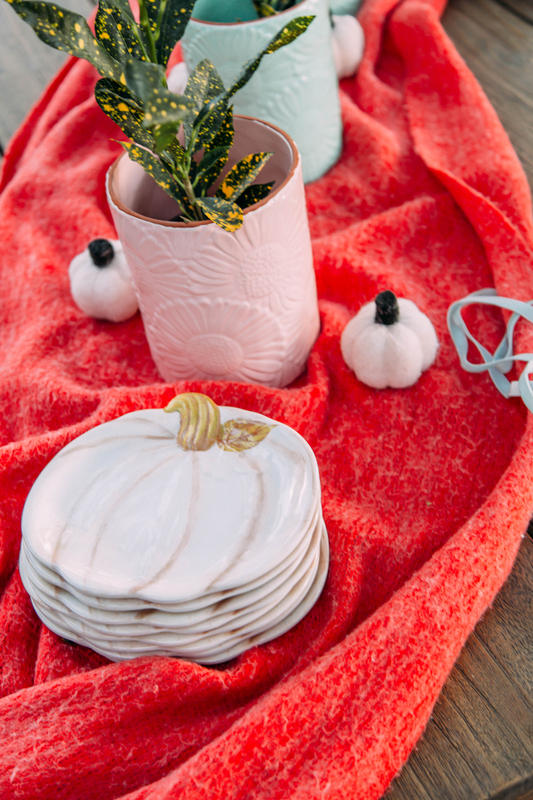 Stack vases with greenery along the table, stack plates, stack silverware, stack pumpkins and tie it all off with a bow! Literally this is my near constant weeknight party go-to. 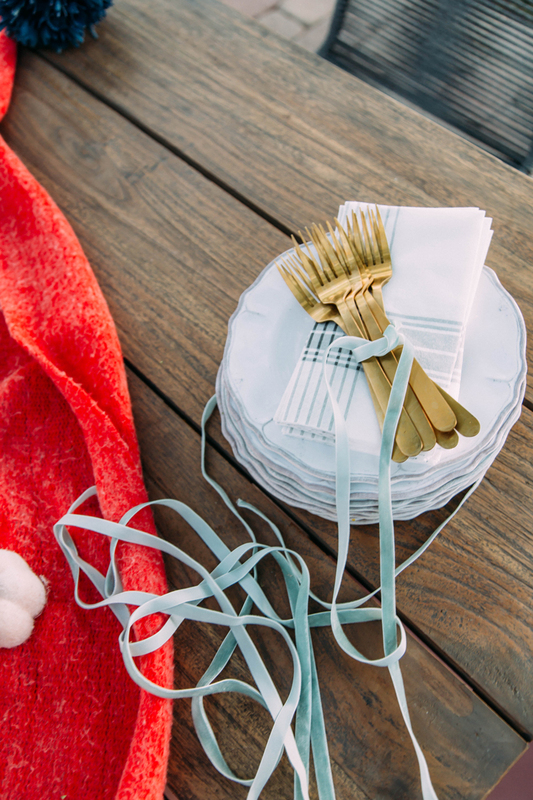 Make it easy on yourself and for your guests by stacking and then relaxing. They will be sure to figure out the rest. 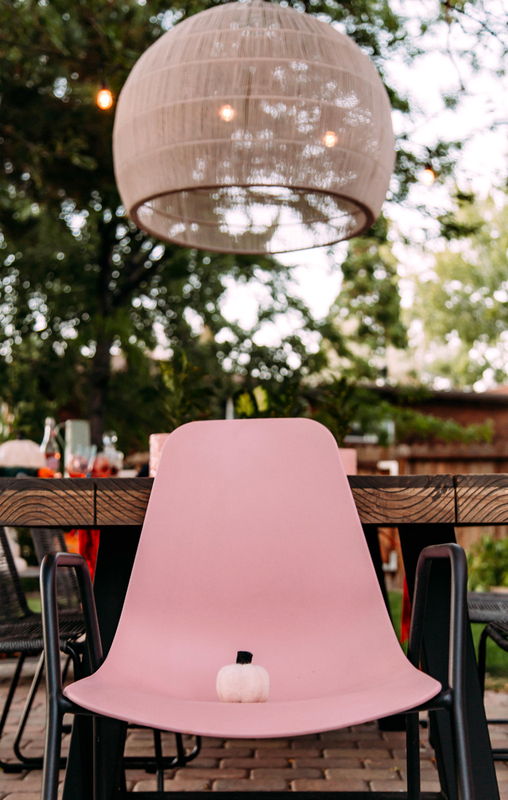 If you’re interested in building out a new dinning area this fall, the weather here is just about perfect for it – check out the full line of outdoor furniture over at Article. The decor of the party is beautiful, I like this decoration. This is very fascinating information for me. You shared very beautiful pics. Thanks for sharing this information. I liked your table decoration ideas.